If you’re looking for travel accessories from some of the industry’s leading brand names you’re in the right place. Offering travel accessories from brands such as Logik, Masterplug and Philex, here you will find a whole host of travel accessories that will ensure that you are perfectly equipped with everything you need to thoroughly enjoy your travels. 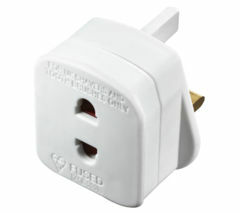 One of the most important items you need to remember to pack in your suitcase is a travel adapter, especially if you are travelling with all of your electricals in tow. Boasting UK, US, EU and AU plugs, as well as UBS ports, you will find a fantastic selection of travel adaptors that are reliable, powerful and interchangeable. Whatever plug incompatibility issue you face, we’ve got an adapter that will do the job. Perhaps you want to use your British electrical equipment on holiday, or maybe you have a gadget from overseas that you need to use with a 3-pin UK plug – we’ve got all the bases covered. With their simple, compact and lightweight design, all of the adaptors available within this product range are also incredibly easy to transport, meaning they are a practical choice for slotting into your rucksack or suitcase. 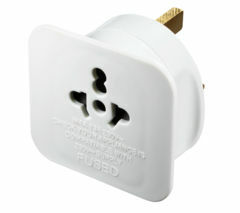 One of the most popular adapters in this range is the Philex Twist Plus PA-OAK-2WH Universal USB Travel Charger. Delivering powerful all-in-one charging in over 150 countries worldwide, this versatile adapter is suitable for use in Europe, the USA, China and Australia, as well as a huge range of other countries, in all corners of the globe. Simply twist the adaptor to select the local plug and power your MacBook, iPad and any other electronic devices using the AC outlet and an additional device, which you can access via the USB connector. You’ll also be able to enjoy the convenience of fast charging with this adaptor. If you can’t find what you are looking for in this range, don’t forget that you can also view Masterplug adapters and view our range of batteries online today.